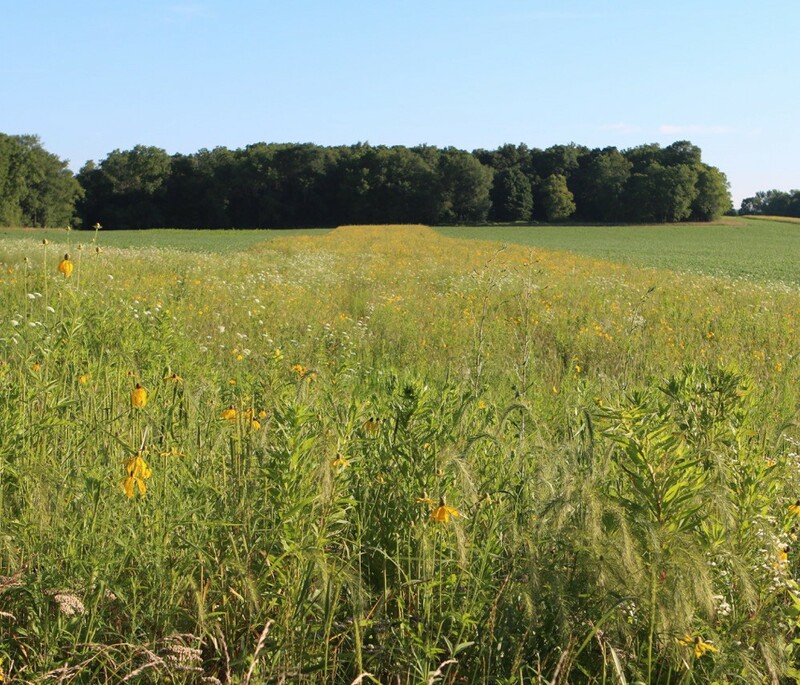 Bioenergy crops — Researchers from Michigan State University (MSU) Extension have established plots for bioenergy crops to study plant performance in different types of soils and conditions. The goal is to improve production techniques. 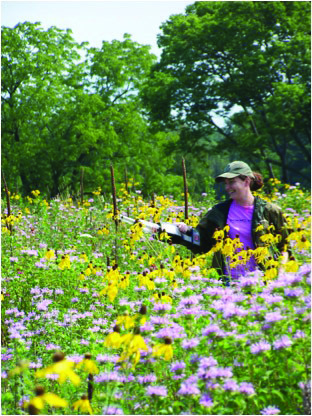 Prairie sustainability — Another group of MSU researchers are studying prairies to help land managers make better decisions about planting and which species may need special attention. In 2009 the foundation partnered with the Eastern Massasauga Rattlesnake Species Survival Plan (EMR SSP) to conduct research at BRV. The EMR SSP, a consortium of 22 zoos, has a dual mission: to enhance the captive population of massasaugas and to promote the snakes’ conservation in the wild. Each May members of the EMR SSP travel to BRV to hold their annual meeting and review breeding practices for their zoos’ snakes, which are managed collectively. The group also spends considerable time outdoors, combing BRV’s 2,000 acres searching for snakes to collect data for a longitudinal study. Since the study began in 2009, researchers have caught and identified 788 individual snakes at BRV, with 172 of these found during 2014 and 2015. 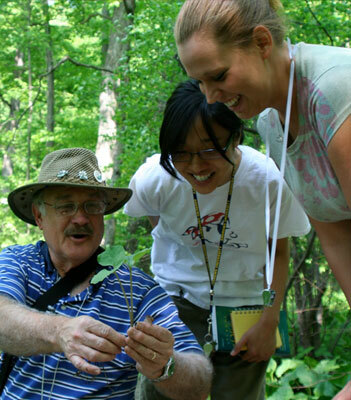 (Left to right) Jeff Evans in a plot of garlic mustard, a highly invasive plant that threatens biodiversity; Kelly Marsack takes DNA samples from an eastern box turtle; and Dennis Woodland, a botany professor at Andrews University, tours BRV with two of his students to study plant species. Inventories on mammals and entomological and aquatic species. Best practices for environmental management. Research to quantify prescribed-burning practices. 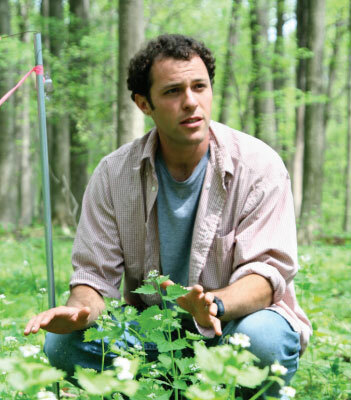 Research on management of old-growth woodland. We typically provides researchers with housing, access to a field lab with high-speed Internet and additional logistical support. For more information, contact Mike McCuistion via email at mike@lowe.org.